Because Port View Preparatory® serves students with varying complex challenges, including those who have traumatic brain injury or other debilitating mental or physical conditions, our school is proud to offer occupational therapy. Occupational therapy is designed to help students who have an illness or disability preventing or limiting them from engaging in activities that most of us take for granted like eating, dressing, school activities and working. Occupational therapy at Port View Preparatory® takes place in individual and group settings, depending on the severity of the student’s physical or mental disability. 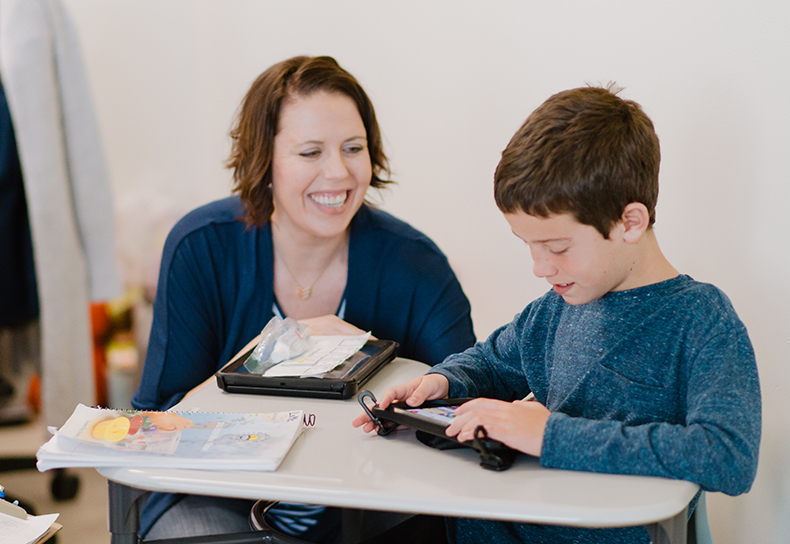 We offer “pull-out” and “push-in” therapy services, which means we either “pull” students for individual or small group (2-4 students) therapy or “push” them into the classroom environment to provide services there. Our staff occupational therapists help individuals recuperate and live with physical and mental illness. They do this by guiding and directing students to make changes in any of the things that may limit their ability to accomplish tasks that are both necessary and/or meaningful to them. Students with emotional problems such as depression and stress are also helped by our occupational therapists. Sensory integration is another tool in Occupational Therapy which is recommended by The American Occupational Therapy Association (AOTA.) It uses reasoning, existing evidence and outcomes to create a comprehensive, individualized approach for each student, rather than using isolated, specific sensory strategies*. Port View Preparatory®’s occupational therapy program also focuses on fine and gross motor skills, balance, as well as proprioceptive and vestibular supports. For more information about Port View Preparatory®’s Occupational Therapy program or any of the information presented here, please contact Principals Edward Miguel at 714-463-6391 or Melaura Erickson-Tomaino at 714-463-6392.